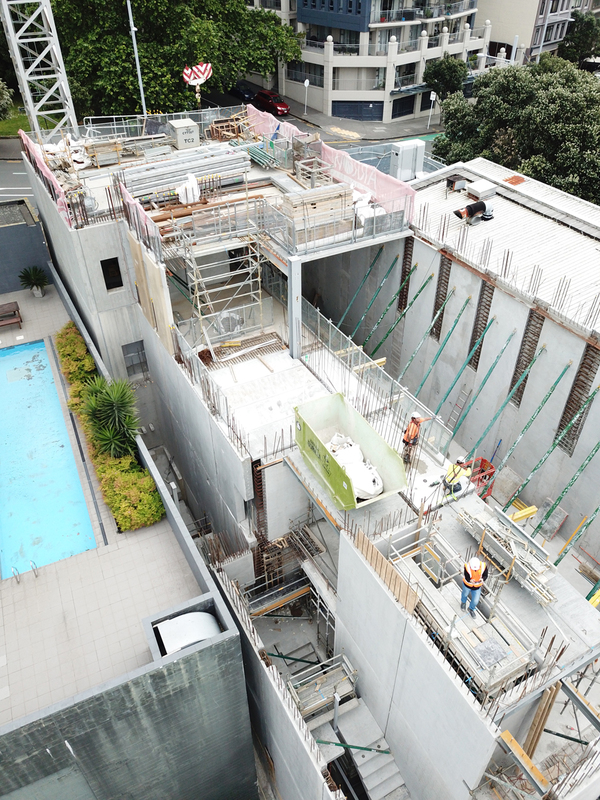 If you are interested, please visit the Anzac Avenue project portfolio to see more. 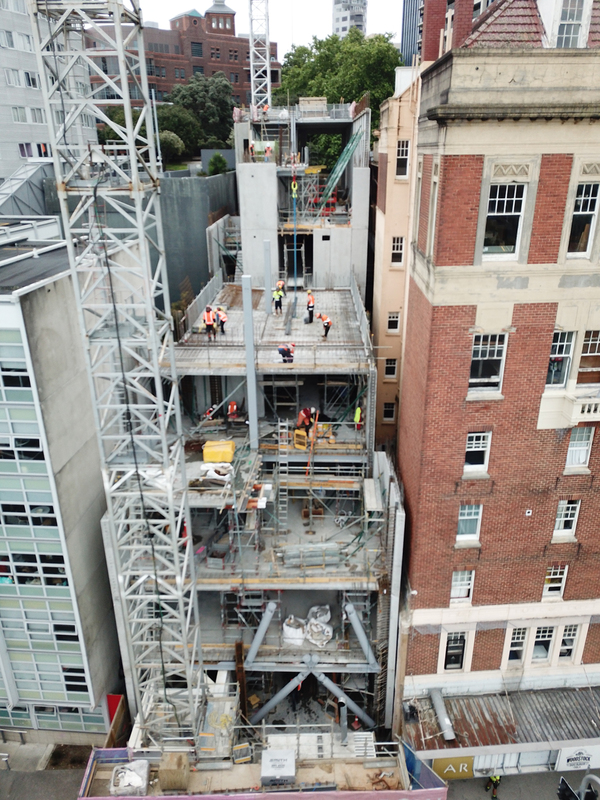 Recent site photos of a multi-residential student accommodation tower in Aucklands CBD, 16th November 2018. 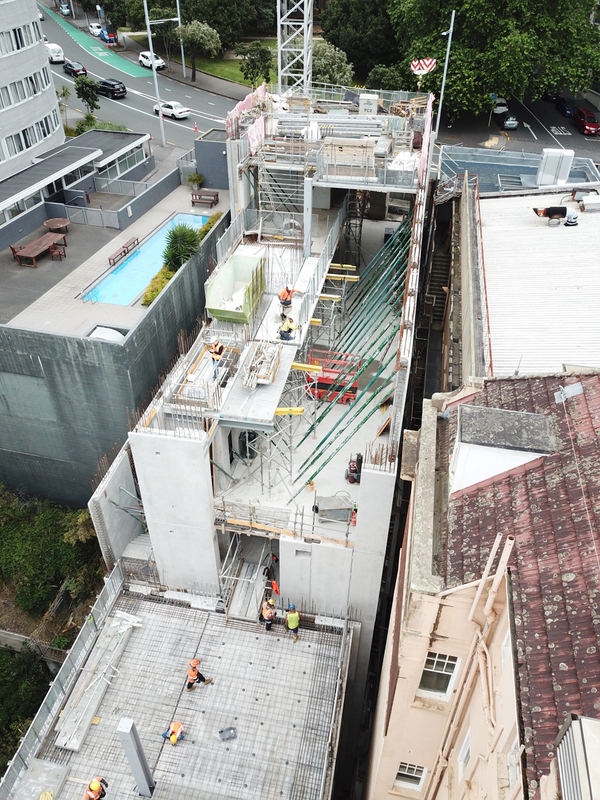 The site, which is sandwiched between Anzac Avenue and Beach Road, provided an opportunity for a proposed building to address both the University campus and the city’s waterfront via two street frontages. 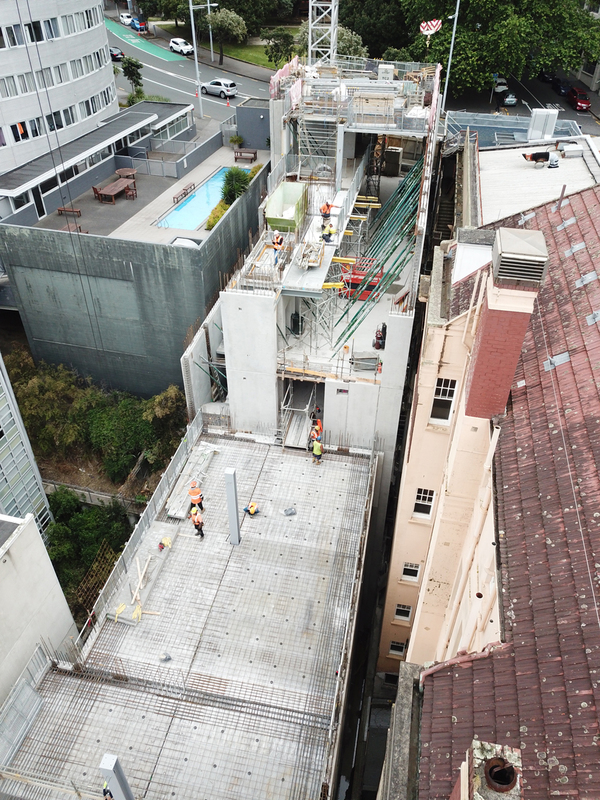 Contextually the area is characterized by the neighbouring historic Station Hotel and a mix of office buildings, student accommodation and apartments of medium density. 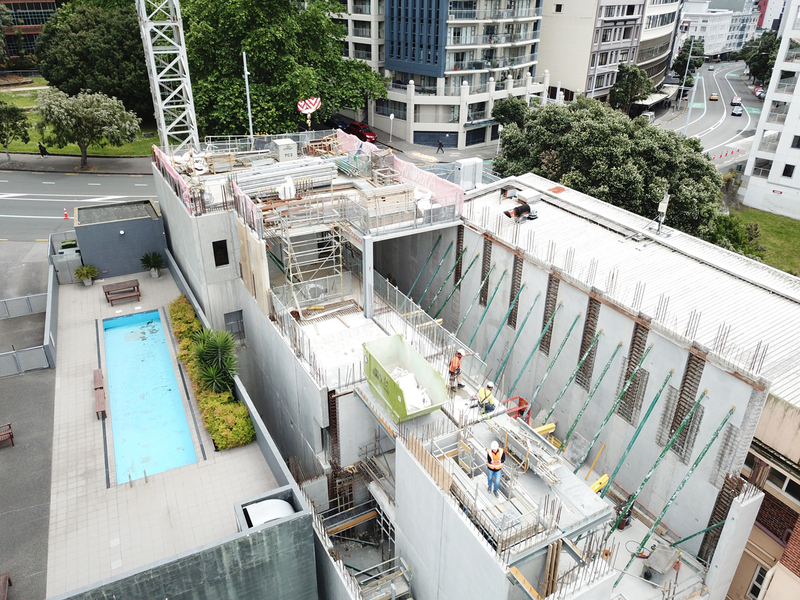 Architecturally the plan form is a response to the site’s narrow configuration, step topography and the tight development controls, with a focus on responding to and reinforcing both the Beach Road and Anzac Avenue environments.